Many small business owners have a great product idea and are running full speed ahead to launch their business. However, more important than a single product idea is the actual brand for your business. Branding will help a business to focus on their target market, branch out on compatible products and extend their business effectively. A unique brand strategy will help to set your product and ultimately your business apart from your competitors. A brand is really the identity associated with a company and its products. Some brands of commercial products are known for being high quality while others are known for being low in price. Other brands are known for being innovative and leaders within their industry. A business owner needs to establish what they want customers to identify with their business and then build up their product or service around this concept. Developing a brand that is unique and original will help to set your company apart from your competitors. Taking an angle on your product and merging it with your branding concept will help to define and develop your business. Credibility is priceless in the process of building a business. A major obstacle all business people need to contend with is the difficulty in building a reputable image with your customers. Branding is built upon developing a positive image through repetitious acts to reinforce this image with the target community. By successfully accomplishing this you have built a strong, reliable and unique identity that the people of the internet have come to recognize. 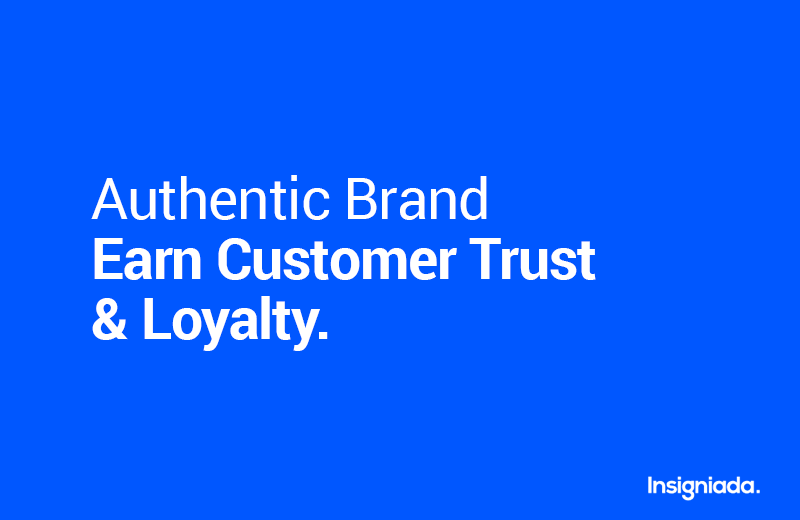 Truly authentic and unique brands help to build two things that are very rare in the customer-brand relationship: loyalty and trust. It can’t be emphasized enough how valuable these qualities are to the connection between you and your customers. A long-term customer/brand relationship is always at the heart of every successful brand. And it’s only by truly knowing itself that a brand can provide the type of consistent, reliable experiences that are the core of such relationships. An authentic brand gives employees the morale to strengthen and protect the brand image. Employees of well-established brands are always more committed to customer service than employees working for other brands. Why? Because they are always proud of what they do to your company in helping it grow. People who work for companies that ranked as the most admired in the target industry take pride in the success, and they work hard to strengthen and protect the company’s reputation. Managers of well-admired brands are sometimes even willing to accept a lower pay for just the chance to work for the brand. Investing in an authentic brand identity shows that you are committed to success and you take pride in your business. Customers believe in your ability to deliver on your promises to them because you are a company that invests in its success by creating a strong brand loyalty and trust with each customer interaction. Branding yourself or your business gives you a ‘voice’ over the noise of the internet. When people recognize you for unique or different reasons they tend not to associate you with the rest of the crowd. Authentic branding accomplishes just that thereby allowing your voice to be more ‘distinct’ and increasing your ability to be better heard by the people you are addressing. This increases your marketing effectiveness and as a result, your bottom line as well. Your company may be the best of the best and most experienced in the target field, its brand image conveys an impression that the company won’t last long. An authentic brand helps you develop an image for your company that says that you are there to stay. Well-defined brand projects a long term feel to those who see it regularly. 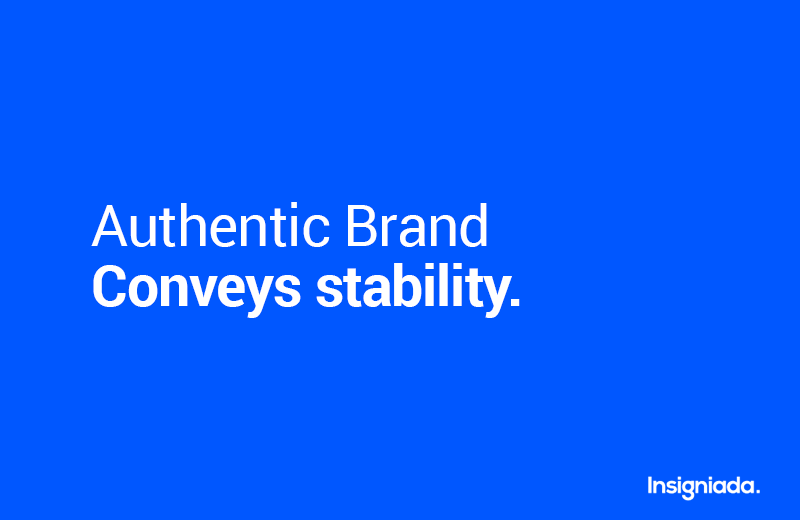 Eliminate any questions about your stability by having a unique, authentic brand with a clear message. Authentic brands have put their time and research into knowing what types of customers are aligned with their unique values and culture. Customers are always willing to pay a premium for a product and are more loyal over the lifetime of their relationship with your brand. This loyalty is manifested in customers who advocate for your brand, convincing their family and friends to buy your products as well. When marketing on the internet it is important to maintain a focus on what you are trying to do and who you are trying to communicate with. Unfocused effort usually ends up being wasted effort and working on the internet you can not afford to waste yours. Developing a unique and/or particular brand forces you to focus on your identity and purpose. This results in an increase in both your efficiency and effectiveness. You know the direction you want to take and are continually reminded of it through your branding efforts. An authentic brand image is a vital tool that can help your business to get success to a large extent. In today’s world, people lead very busy lives, and hardly like to see a dull designed brand image. But if your company name or logo is well designed with proper font, colors, content, images, and graphic designs, it will allow global visitors to visit your website often, regardless of their busy schedule. Whether you are a small business owner, entrepreneur, artist, or author, you need an effective and authentic brand to mark your presence in the business world. Another major benefit of building an authentic brand is giving you command over the price of your products and services. By positioning itself as an industry leader with a set of unique value propositions offered by none of their other competitors, authentic brands solidify themselves as the best in the business market. And if there is one thing that everyone knows, it’s that to get the best you have to pay for the best.Authentic brands are in the best position to command a premium for their products and services. When a client sees an authentic brand being used on your website, social media profiles, and business cards, they get the image of a business that deserves their business. Clients look for a business or a company that has enough resources to help them succeed.Clients themselves also expect to pay more for a more established company. If you give them a poor quality business card or your web presence is poor, they think you are not worthy of the fees that you feel that you deserve. An authentic brand protects the company by acting as an obstacle to prevent competitive brand entry. There are customers who are reluctant to move from an authentic brand to a new brand unless benefits of the new brand are more appealing to motivate the switch. The customers’ familiarity with well-established brands provides comfort through what they know and have experienced. Their love for a particular brand makes them unwilling to invest in an untried new brand. Developing an authentic brand, to many people may seem to be more of a distraction than a help when marketing. The fact of the matter is that building an authentic branding can actually increase your marketing effectiveness. In a sea of online marketers, it is hard to be noticed and therefore quite easy to get lost, or at least overlooked. By establishing a unique identity you can minimize the amount of competition you face. Along with this huge advantage, online branding also offers other benefits as well. The benefits stated above offer a strong argument as to why this strategy needs to be considered. Instead of disregarding it, you may want to consider it and give it a more prominence in your current marketing strategy.